City Police Commissioner M Mahender Reddy has been appointed as the in-charge of Director-General of Police of Telangana. 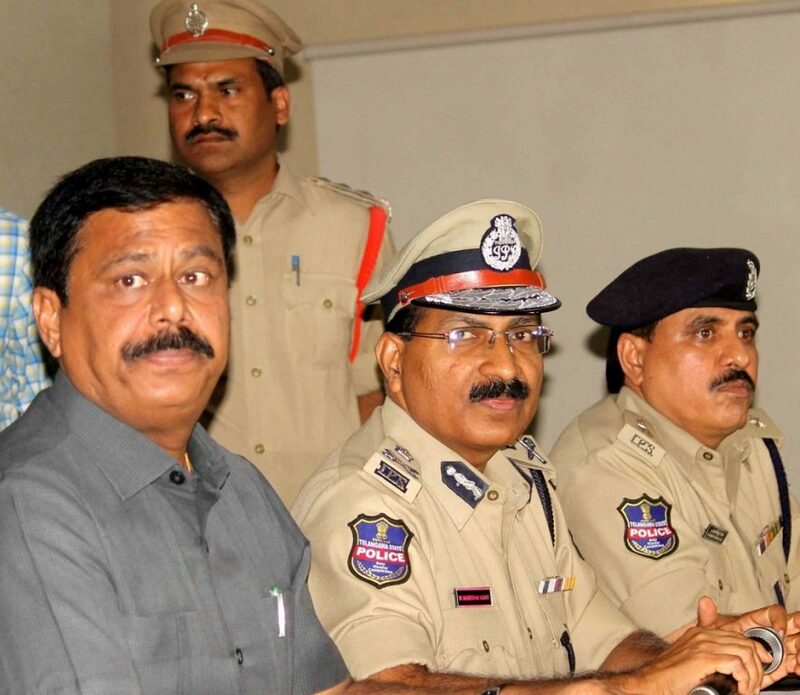 Hyderabad: The State government has on Friday appointed City Police Commissioner M Mahender Reddy as the in-charge Director-General of Police of Telangana. He will assume office on Sunday. Additional Commissioner of Police (Law and Order) V V Srinivasa Rao will be the in-charge Commissioner of Police, Hyderabad. A full-fledged Police Commissioner will be appointed in a few days, official sources said. Meanwhile, Director-General of Police Anurag Sharma, who will retire on Sunday, has been appointed as Advisor to the Home Department. Born on December 3, 1962, Mahender Reddy, a native of Khammam, completed his Bachelor of Technology (B.Tech) in Civil Engineering in 1984 from the then REC, Warangal, presently known as NIT, Warangal. Later, while pursuing M.Tech (Systems and Management) at IIT, Delhi, he was selected to the Indian Police Service (IPS) in 1986 through a Combined Civil Services Examination conducted by UPSC. He joined Indian Police Service in 1986 and served in Karimnagar, Guntur, Adilabad, Nizamabad, Kurnool and Hyderabad in various capacities holding managerial/leadership positions. While in service, Mahender Reddy also obtained an M.A (Public Personnel Management) from Osmania University. He has served as a faculty member at the Sardar Vallabhbhai Patel National Police Academy here and has gone on study tours to the USA and the UK to acquaint himself with police systems in those countries.